Home / Belgique / Yellow vests: "In Charleroi the numbers will be strengthened this Sunday evening"
Yellow vests: "In Charleroi the numbers will be strengthened this Sunday evening"
Twenty-seven criminals who infiltrated the yellow vests in Charleroi were arrested Saturday night. More than 80% of them have a criminal record and are between 18 and 28 years old. This Sunday night, 180 policemen will be mobilized to maintain public order. 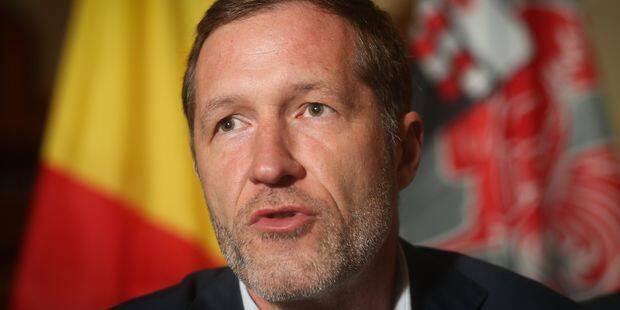 The mayor of Charleroi, Paul Magnette, held a press conference this Sunday with the local police of Charleroi and the governor of Hainaut, Tommy Leclercq. All wanted to distinguish between the & # 39; yellow cardigans & # 39; peacefully demonstrating and the hundreds of criminals infiltrated in their ranks for the sole purpose of doing degradation. Street furniture was looted, as were windows of the town hall and the palace of justice. Shelters and parking meters were destroyed, which the municipal services mobilized this Sunday, to repair the damage as quickly as possible. Cobblestones and iron rods were also thrown at the police. "A total of 27 people were arrested, including 5 forensic," said Paul Magnette. "We have already analyzed the profiles of these people who are very young (between 18 and 28 years old) and 80% of them are familiar with justice, mainly narcotics, they come from Charleroi while the others from the provinces of Liège and Namur come, or from other cities in Hainaut, they are clearly here to cause problems, we can not tolerate Charleroi and its surroundings Therefore, the staff will be strengthened this Sunday evening. " For example, 5 platoons of 36 police officers will fly to the four corners of the city in order to prevent bands from arising. "This is an urban guerrilla phenomenon, with small groups spread over the city, which complicates the interventions," said Philippe Stratsaert, head of the Charleroi police zone. "However, we have stopped one of the five interrupters, which is important: we analyze their profiles but also the images filmed by urban cameras, especially to identify a maximum of people. prosecutor and judges of instruction, so that a strict answer is given to perpetrators of such facts ". An ex-columnist waves behind the scenes of the show! Package score, in-camera match and 2 alternative sanctions for Anderlecht?